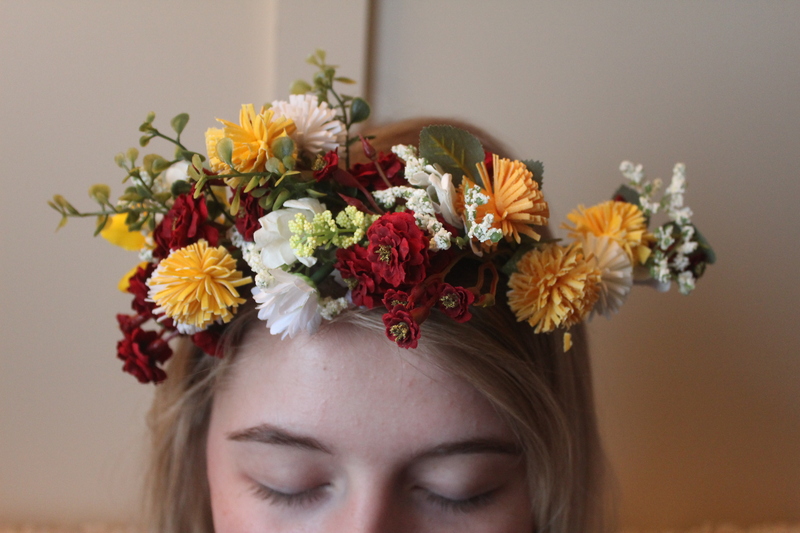 Dorm Room DIY: Flower Crown | Grand Central Magazine | Your Campus. Your Story. The time has come to pack away the turtlenecks and break out the shorts. 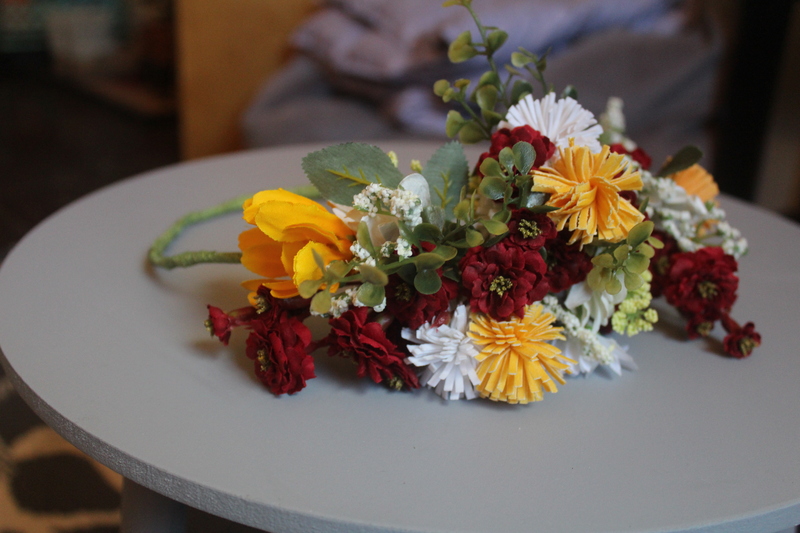 Spring has sprung, and the perfect accessory to start off the season is an easy DIY flower crown featuring a Central Michigan University color scheme. 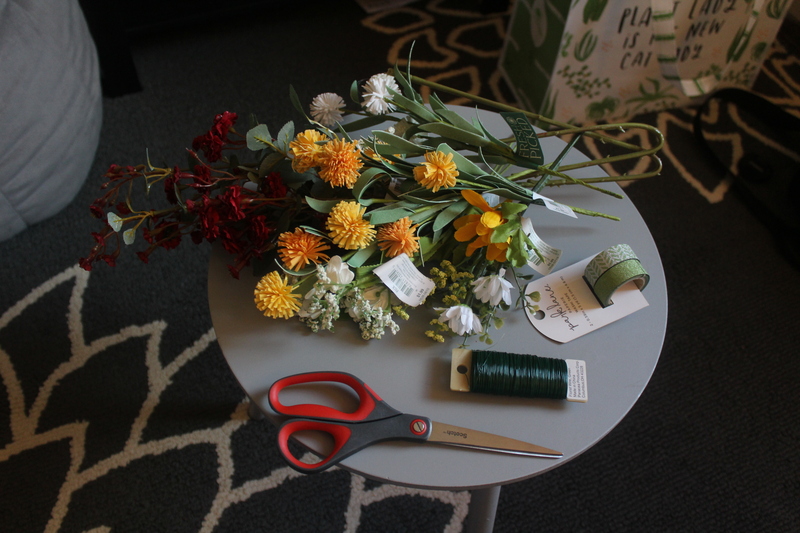 To start, you’ll need the following supplies: fake flowers, colored tape, green gardening wire and scissors. The flowers chosen for this project are maroon and gold with a bit of white sprinkled in. Also chosen is green tape, but any color will suffice. All of these supplies are available at any craft store. 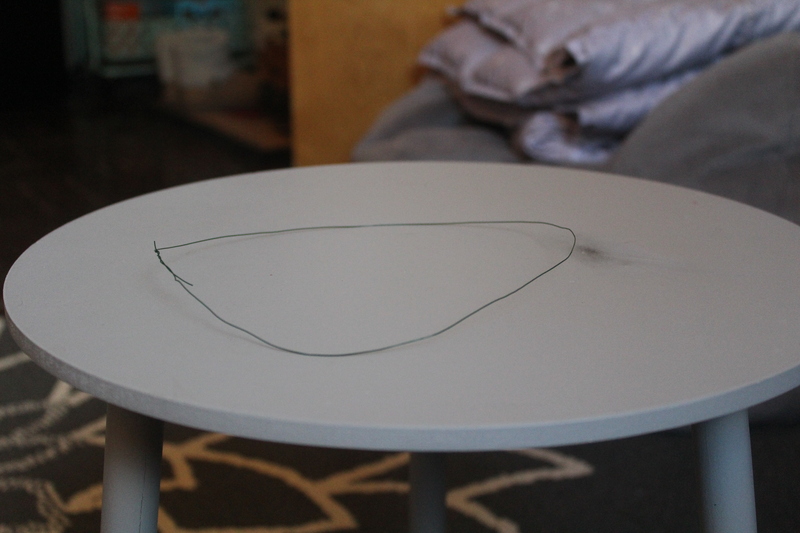 First, measure out the wire to about the circumference of your head, then cut it a quarter of an inch more so you have room to connect the wire ends. After this, cut two more pieces of the same length. 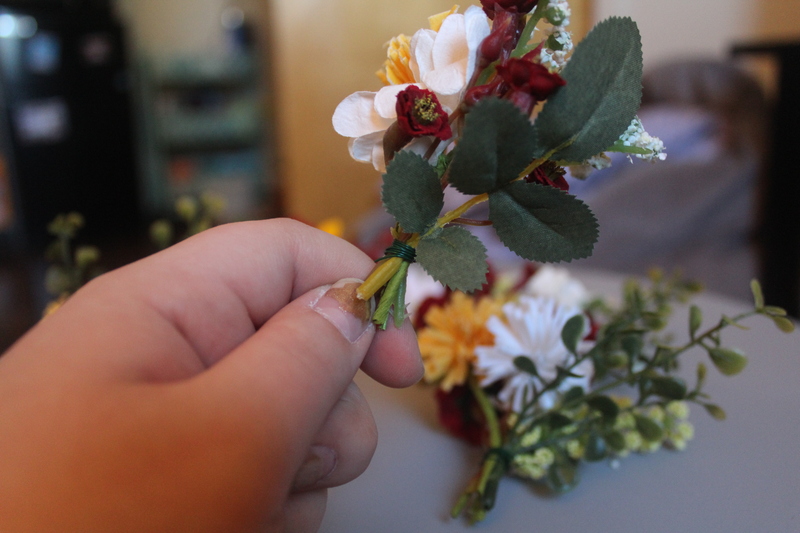 Next, braid the three wire pieces together to create a sturdier base for the flowers to attach to. 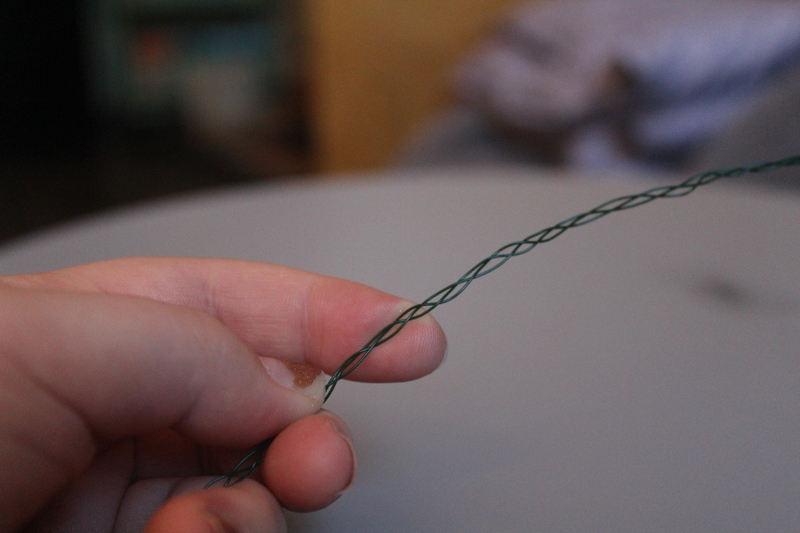 Once your wire pieces are completely braided, begin wrapping your tape around the entire length of the crown. Next, take your flowers and wire them together into small bundles. 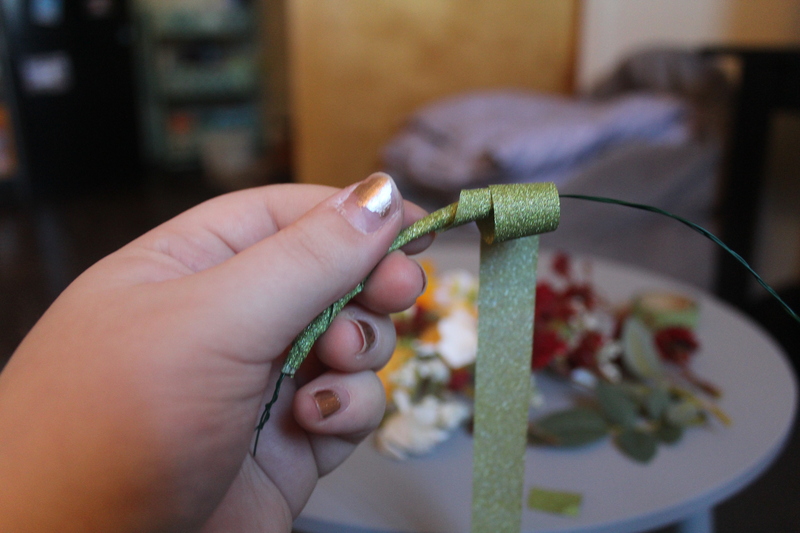 You will then lay the bundles flat against the wire and wrap tape around the stems to give the illusion that they are part of the crown even though they are separate pieces. The crown I’ve made contains about seven bundles, but you can use as many as you like. 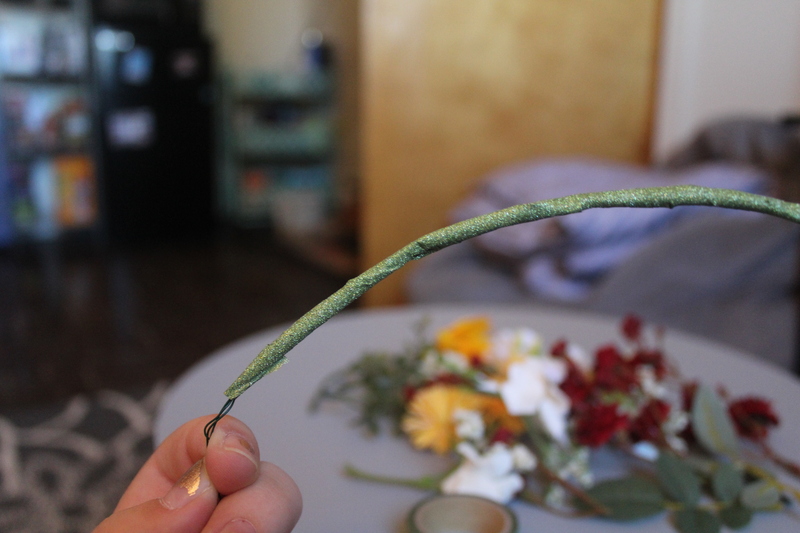 Once you finish adding your flowers, wrap the ends of the wire together and tape them over to keep them from poking into the skin. The end result should look similar to the photos above. Stick to the CMU theme, or come up with your own fun color scheme. A flower crown is a great accent piece for music festivals or photo shoots. Separator image Posted in Style & Beauty, Women's Style and tagged with DIY, flower crown, Riley Connell, Spring accessories, Style and Beauty.